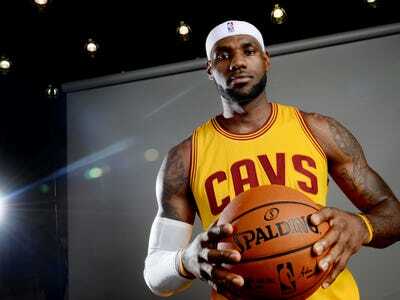 Ken Blaze/USA TODAY SportsLeBron James says there is a sense of ‘comfort’ in having been here before. The Cleveland Cavaliers lost to the San Antonio Spurs on Wednesday night, their second loss in a row and have now fallen to 5-5 in the first season of LeBron James’ return home. In Nov. 2010, just months after LeBron’s controversial decision to take his talents to South Beach, the Miami Heat were 9-8 and many around the sport were questioning whether or not James could co-exist with Dwyane Wade and whether James was already in a power struggle with his coach. So if anybody thinks LeBron is going to panic, he won’t, at least not yet.